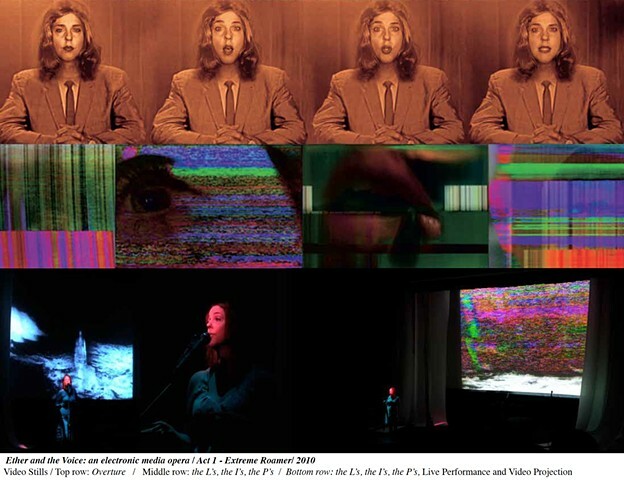 Video stills and documentation from Ether and the Voice: an Electronic Media Opera. from "the L's, the I's, the P's"
"...it's all a mosh of information and sensation. It goes pop, pop, pop inside the culture. A crackle of circuits and instant gratification".